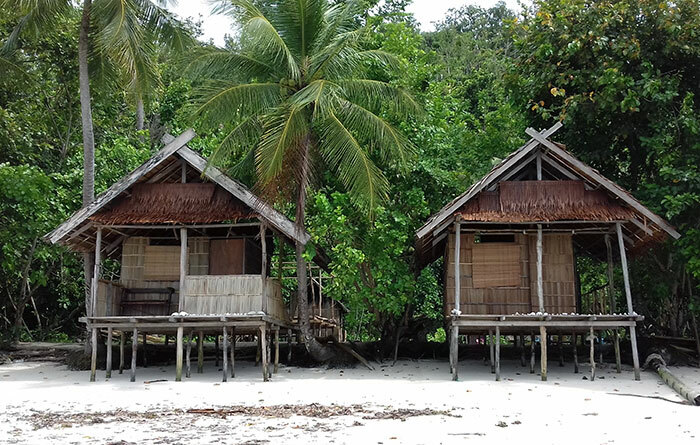 Private bungalows in a quiet beachside haven on busy Kri, only a short walk from the dive centers and other homestays of Kri’s popular north shore. 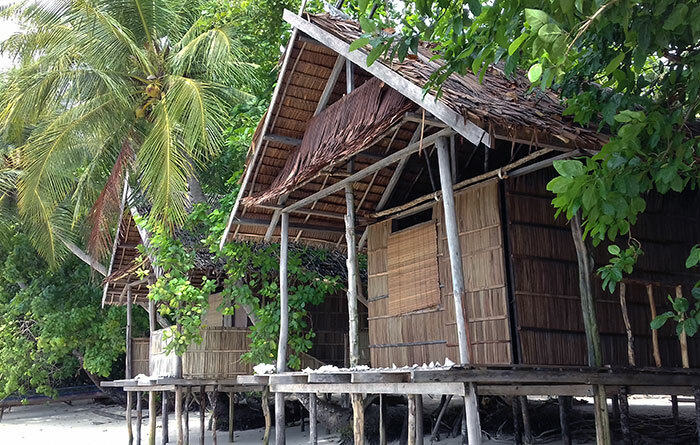 Nyande Rengkri Homestay is located on the north shore of Pulau Kri and offers two private bungalows on the beach. Each bungalow has a verandah with panoramic views across the strait to Gam and Waigeo. 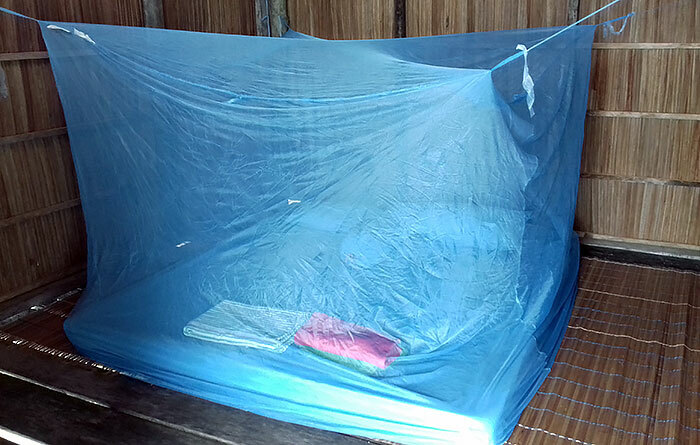 Bedrooms sleep two on mattresses on the floor and bedding includes matress covers, pillows, bolsters and mosquito nets. 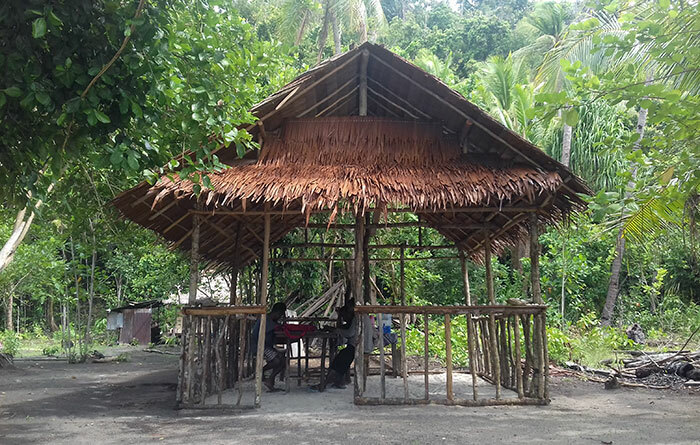 Meals are served in a dining shelter that also affords great sea views. Free drinking water and tea and coffee making supplies are always available to guests. 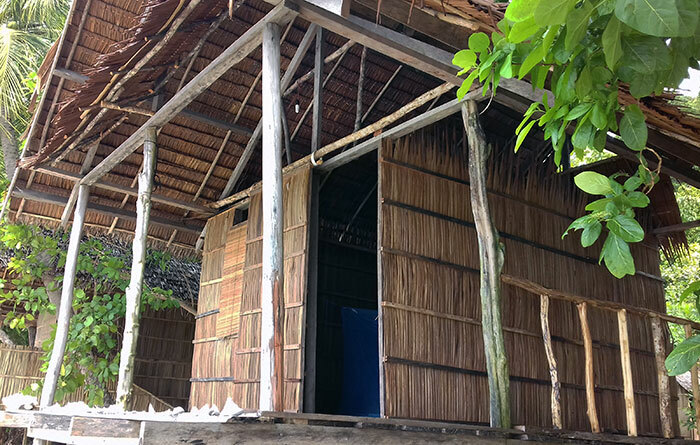 Guests share a two-room bathroom building. 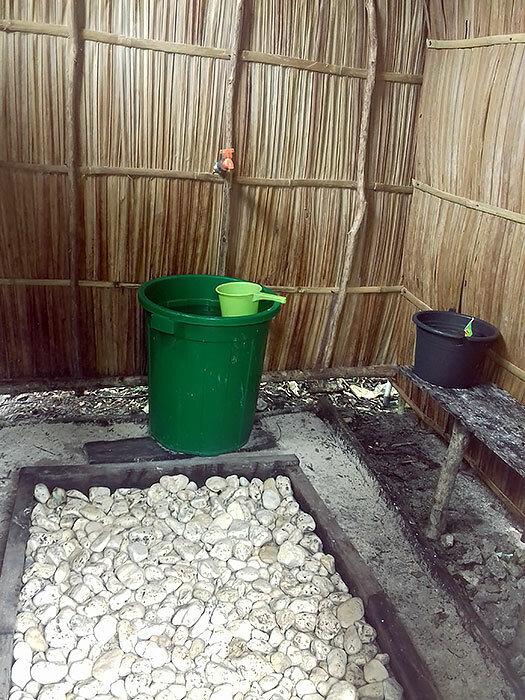 There is a western style toilet in one room and bucket bathing in the other. Electricity is available from a generator which runs from sunset to about midnight. Nyande Rengkri Homestay receives a good telephone signal. A (slow) 4G data connection is usually available. English is spoken at Nyande Rengkri Homestay. 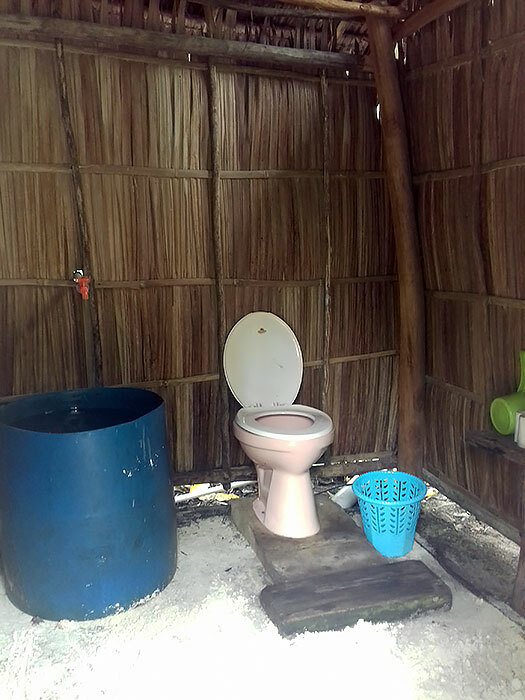 Please note that (as everywhere in Raja Ampat) there is no proper waste disposal or recycling available on Kri. 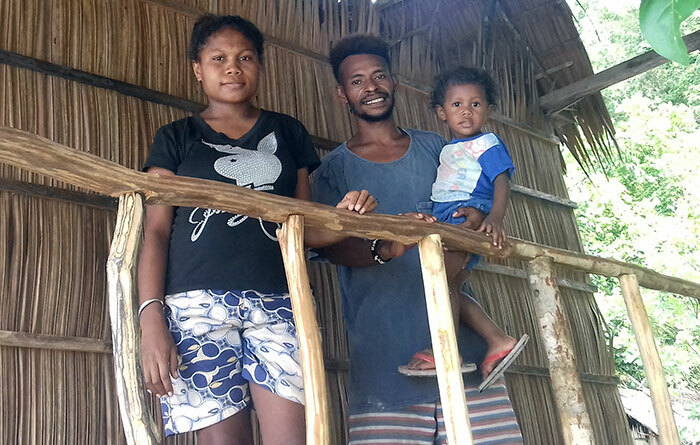 If you want to avoid contributing to Raja Ampat’s trash problems, then you need to take all your inorganic waste away with you when you leave. 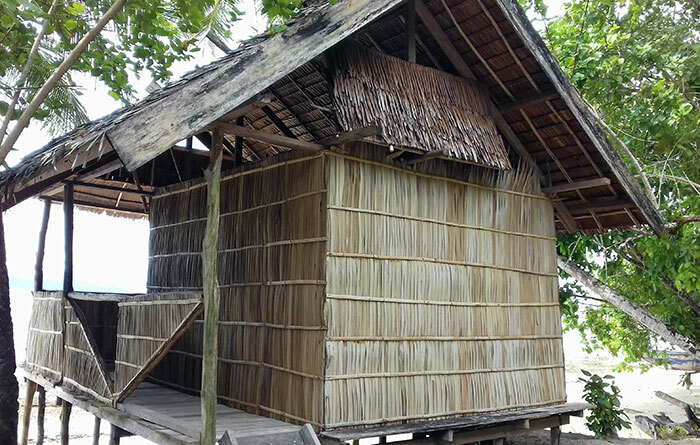 Transport between Waisai and Nyande Rengkri Homestay is by longboat and costs IDR 500,000 each way. The cost is shared by passengers. Speedboat transfers are also provided if required and cost IDR 700,000 each way. 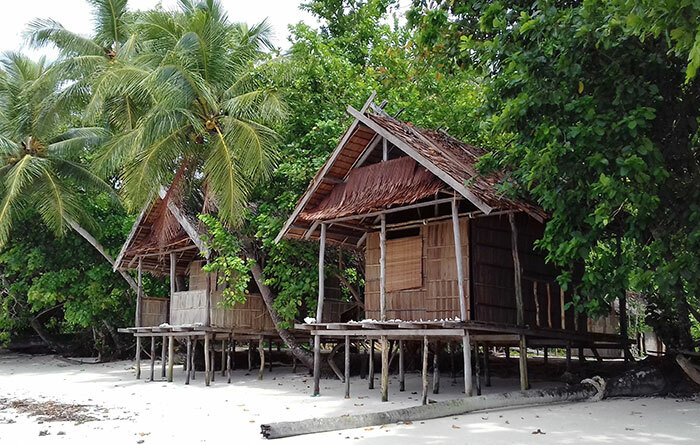 Nyande Rengkri Homestay has a great beach and an excellent house reef, although entering the water at low tide can be tricky and is probably best done by walking to an adjacent homesty with a jetty. See our Kri Island guide for more about things to do on Kri. Diving is available by arrangement with nearby Yenkoranu Homestay. 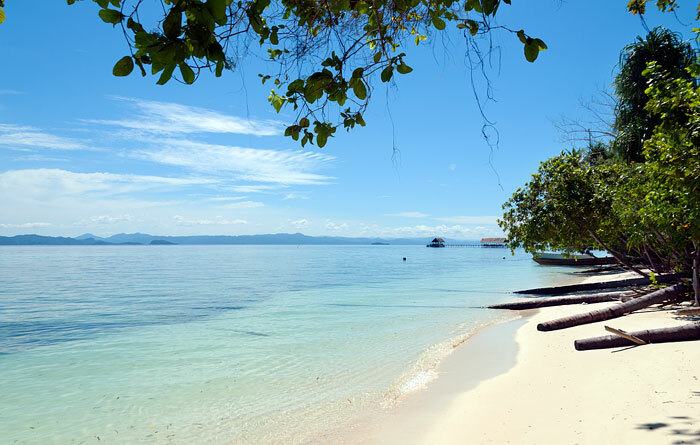 Nyande Rengkri can organise any sightseeing and/or snorkelling trips you want to do. Because of the number of homestays on Kri, it’s usually fairly easy to find people to share boat trip costs with. A selection of the most popular trips are provided in the table below. Costs are in IDR and are for the trip (shared by participants). See our Kri Island page for an overview of the island and its attractions. 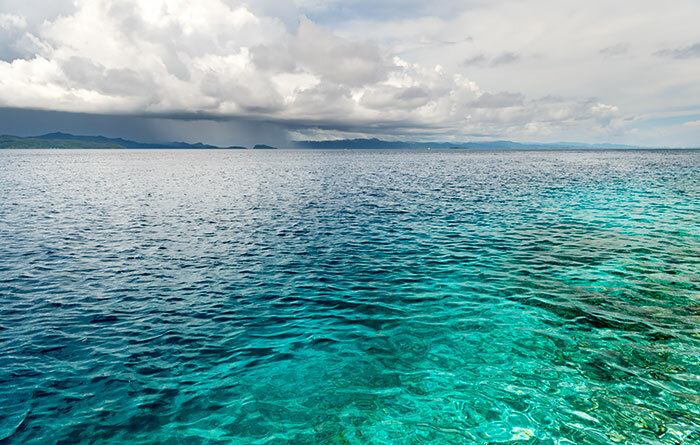 We visited Raja Ampat the third time. During one year there are so many canges. Now all along the northshore there are so many homestays. 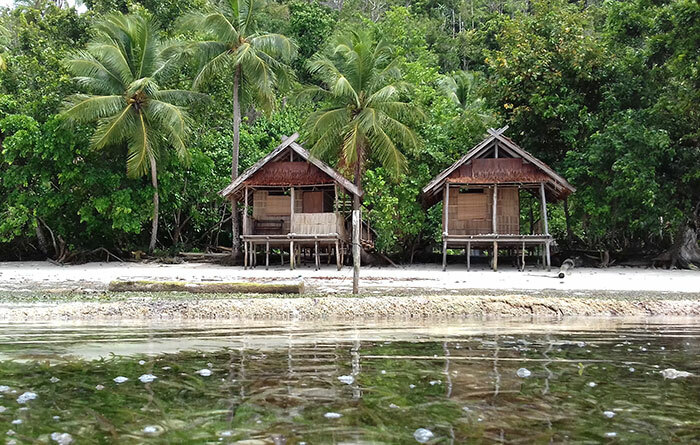 On the search for the “old spirit” of Kri we found Nynde Rengkri with only 2 basic equiped bungalows. The athmosphere is peaceful and Chris and Ibu Liz are more than great hosts. 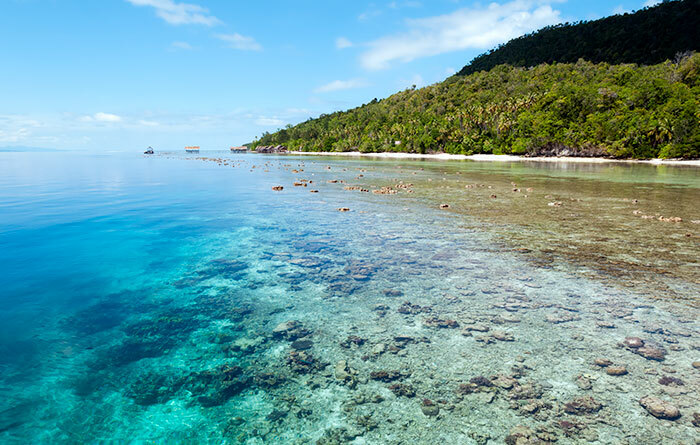 The house reef is amazing for snorkeling. Corals are in good shape. Sharks, tutels, bumpheads, napoeons, lionfish and so much more coming across all the time. Chris as a dive guide can also arrange some dives with Koranu Fayak. You have the opportunity to walk along der north shore, to the view point or the other side of the island (Lumba Lumba). To share a boat (dont miss a tripp to Pianemo and try to spot Mantas at Manta point) ther is only a short walk to more busy homestays around. Ibu Liz is the good soul of the homestay. The food was really delicious. 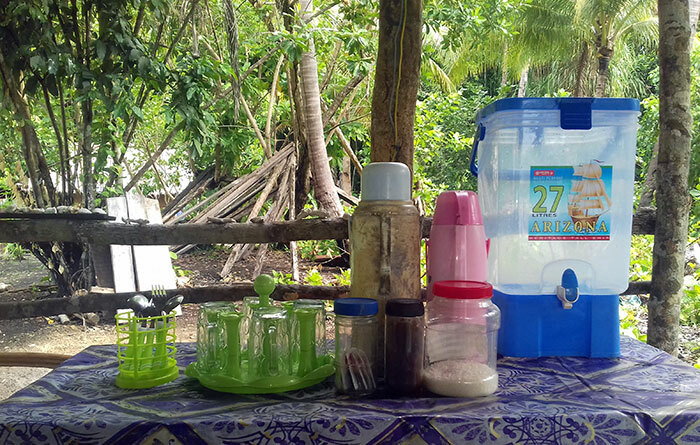 Fresh fish, vegetables, rice, noodles, fruits… Every meal was different and more than we could eat. Really delicious sweet fried bananas or coconut dumplings. 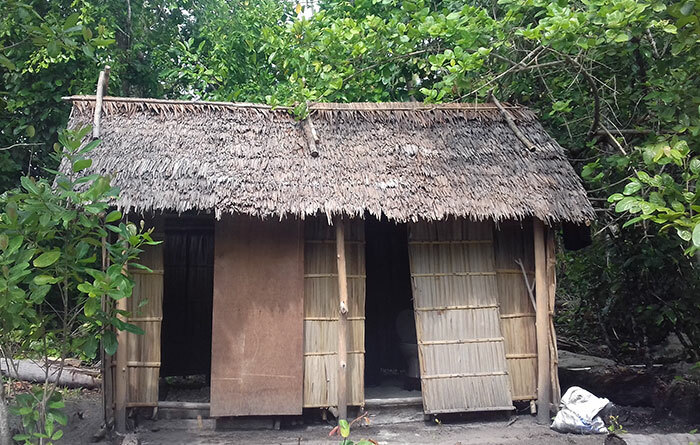 The rooms and bathrooms are very basic but clean. Don`t forget to bring your snorkle gear and a hammock with you.